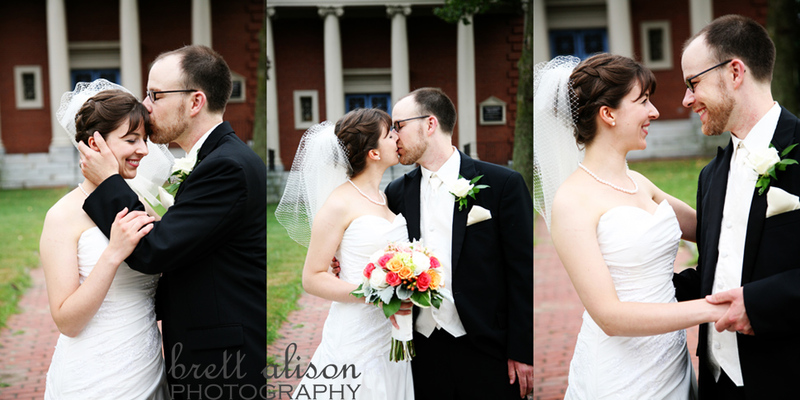 I had such a great time at Lisa and Chris' wedding! 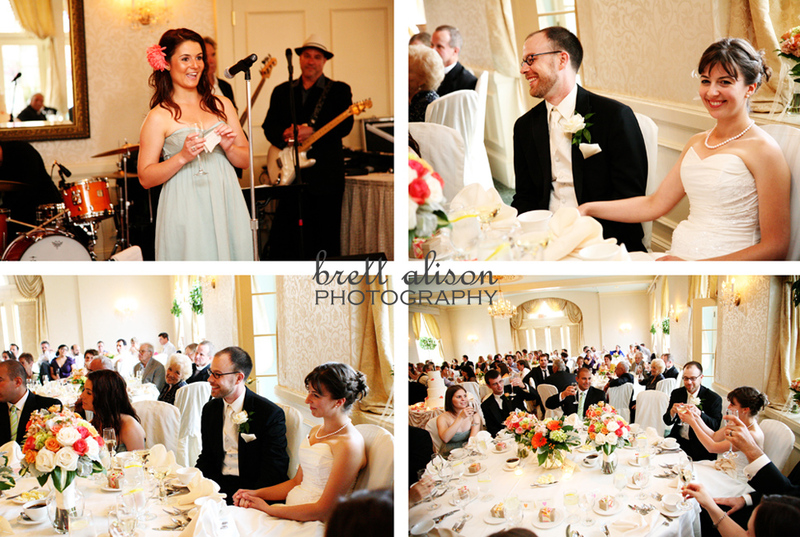 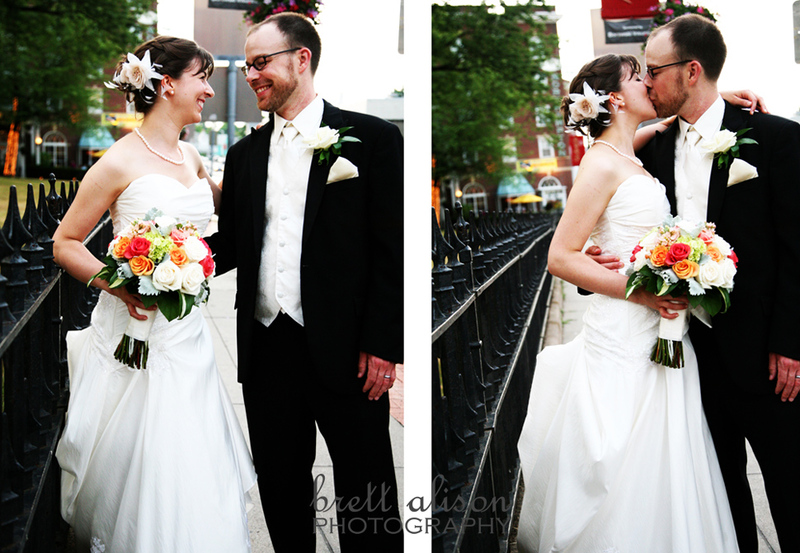 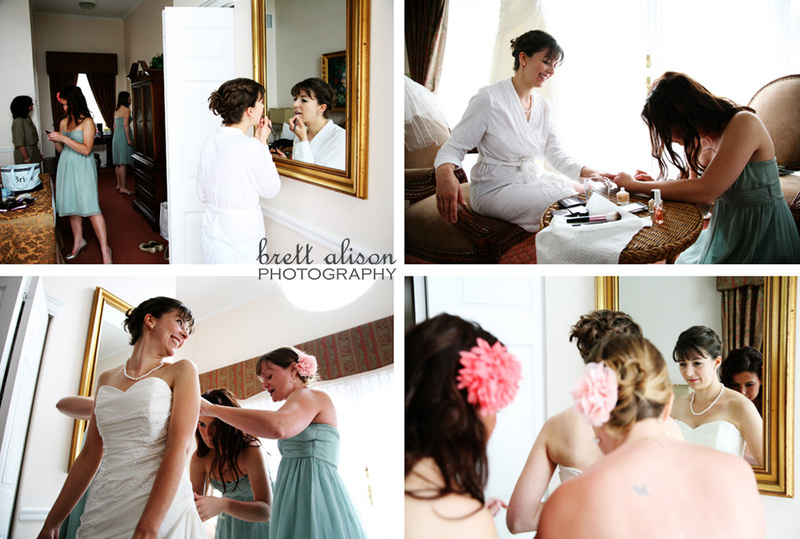 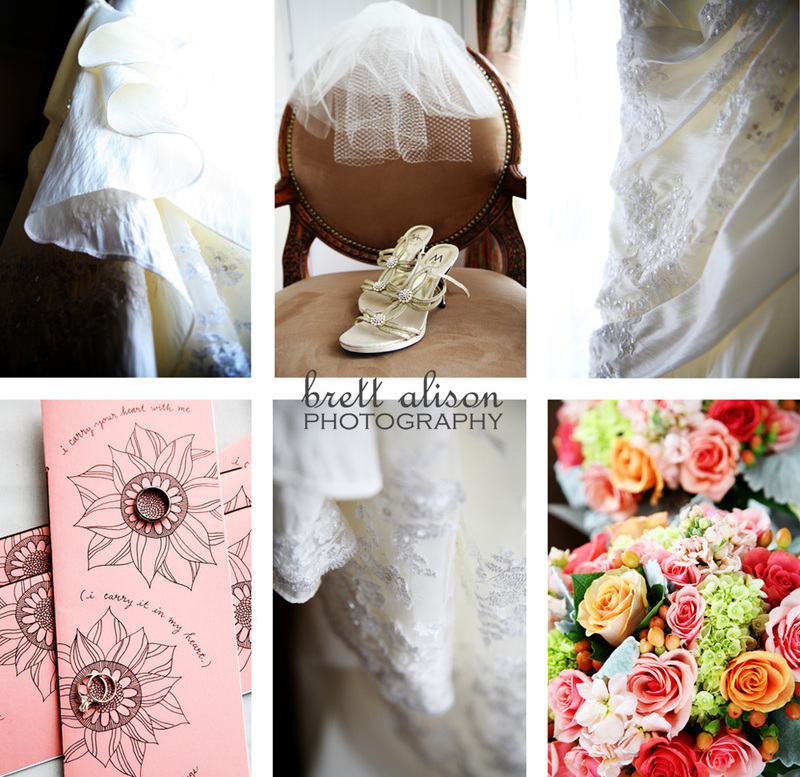 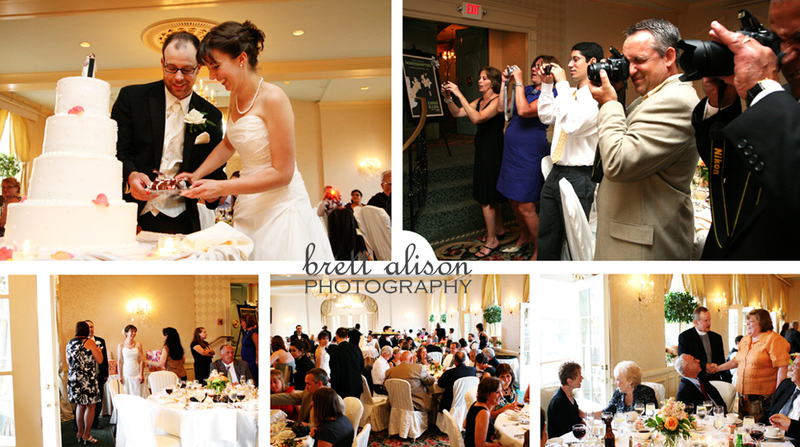 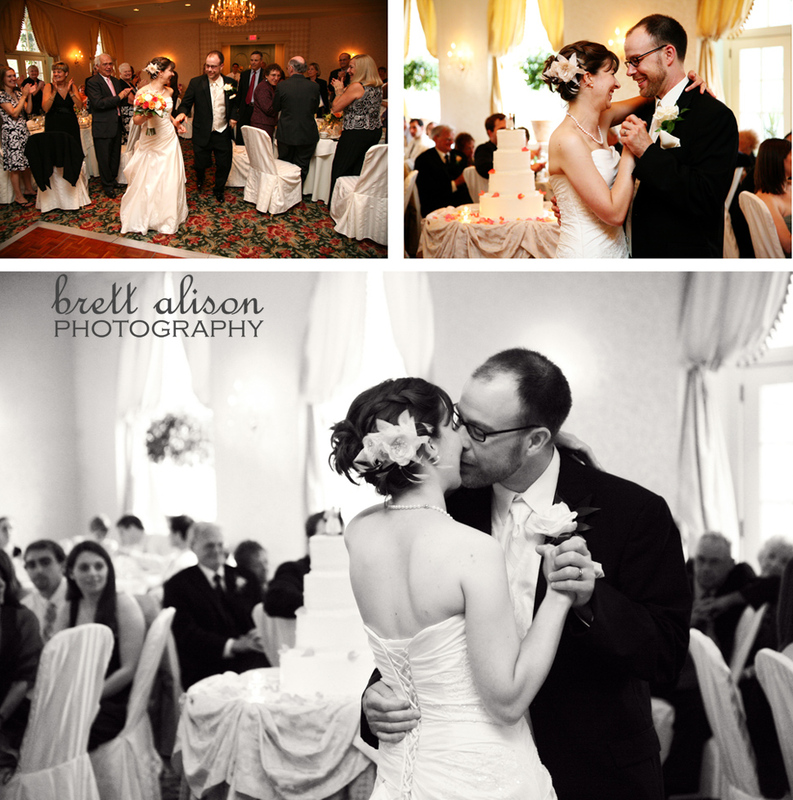 I was able to photograph both the bride and groom getting ready, which is always fun. 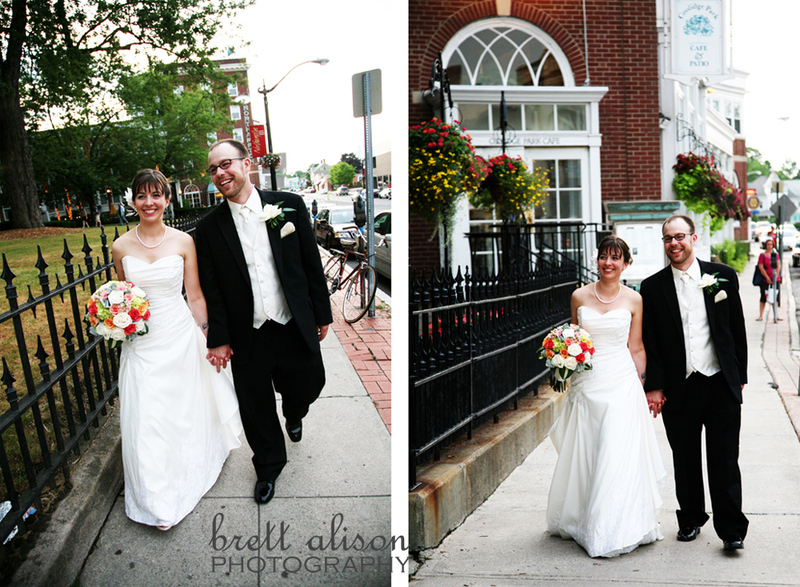 And then I walked with the guys through the (very neat) town of Northampton to the church. 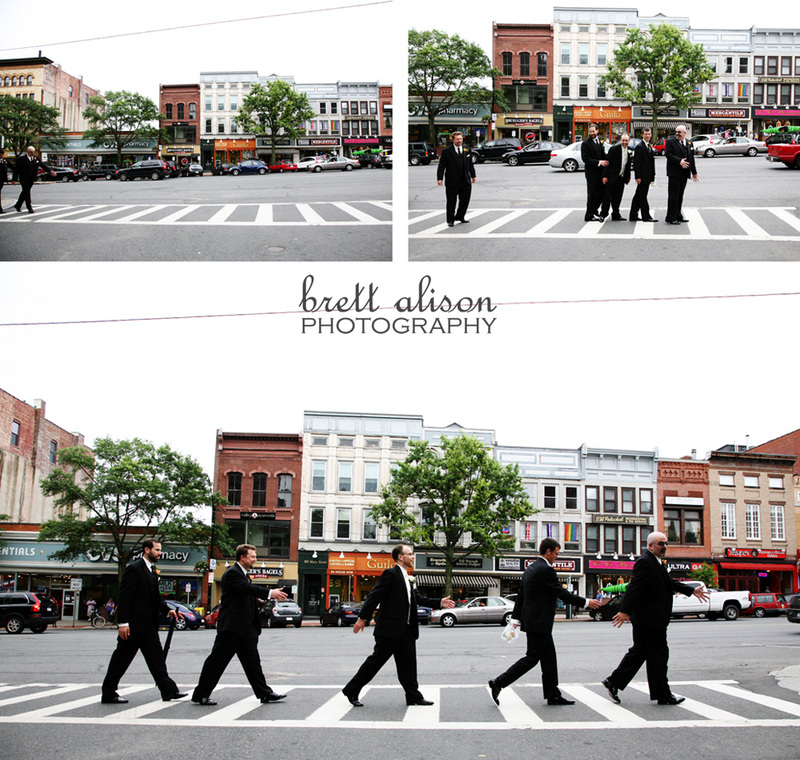 It took a couple of tries, but we got that Abbey Road shot, I think! 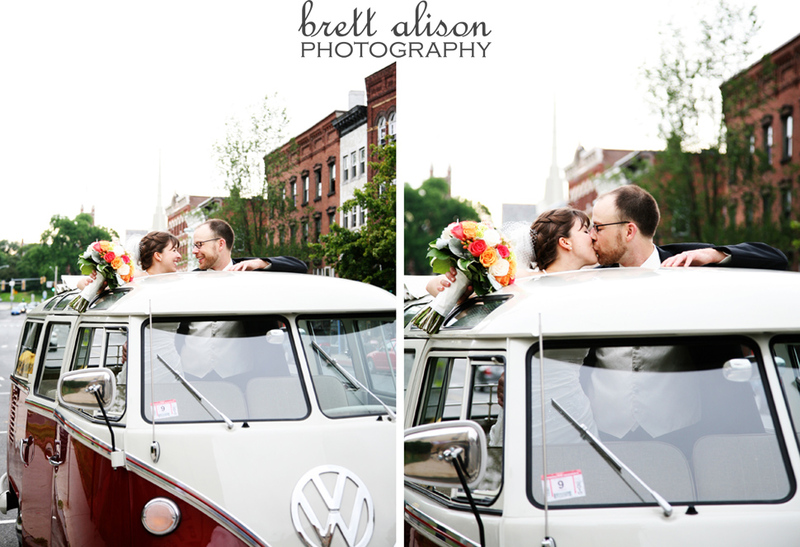 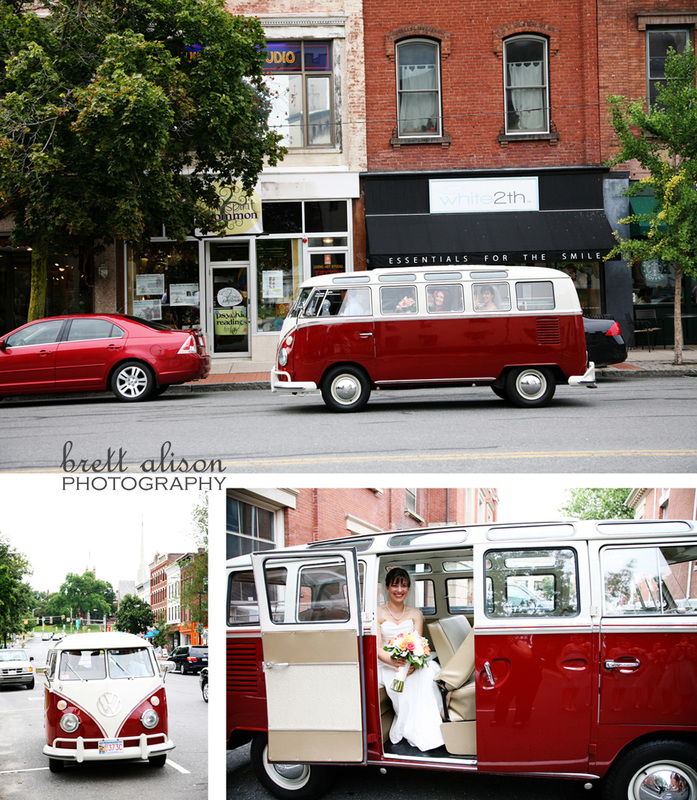 And then of course the arrival of Lisa and the girls in the red VW bus... 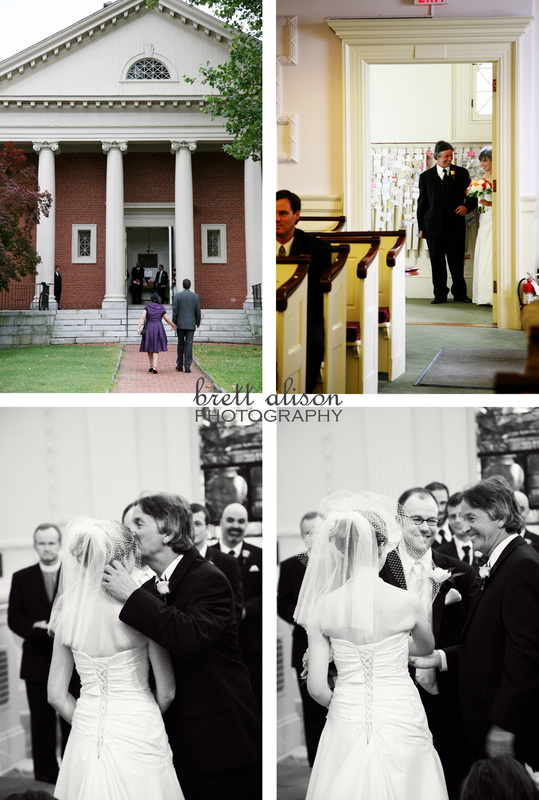 Although I wasn't able to shoot during the ceremony itself, I caught Lisa and her dad walking down the aisle, and then the very end. 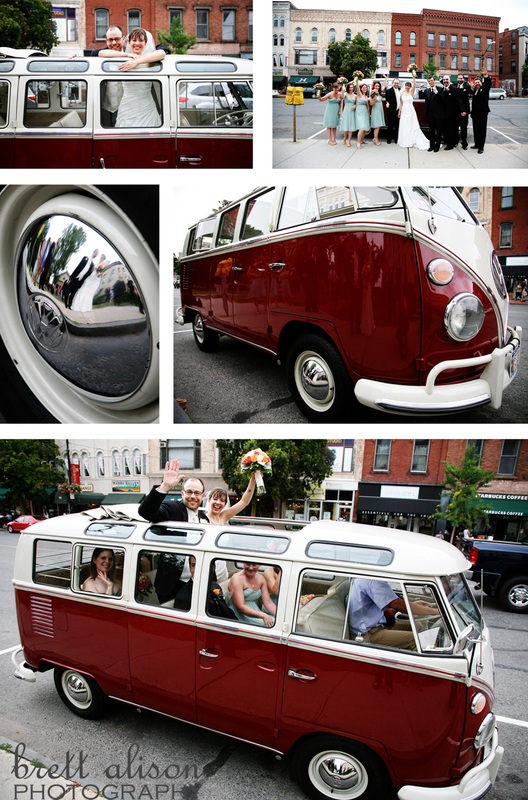 The VW bus was definitely a focus of many of the photos afterward - Chris had a great idea to get a shot of them in the hubcap - kind of a mini-fisheye look! 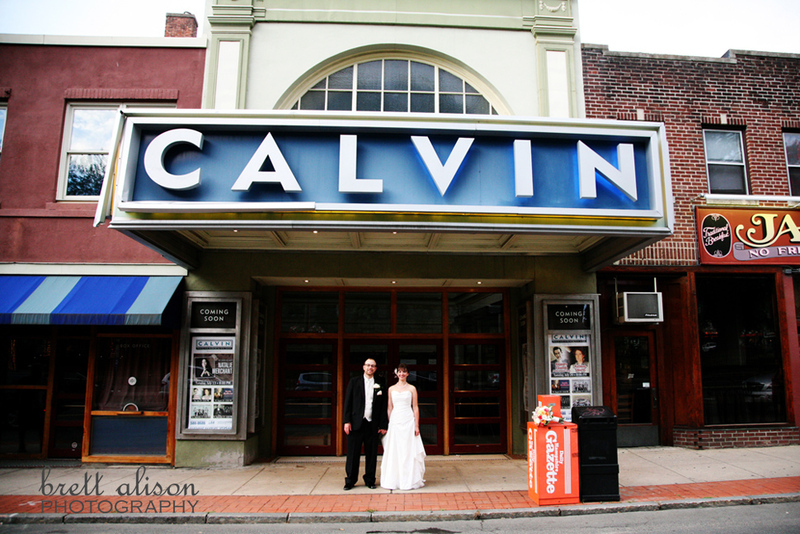 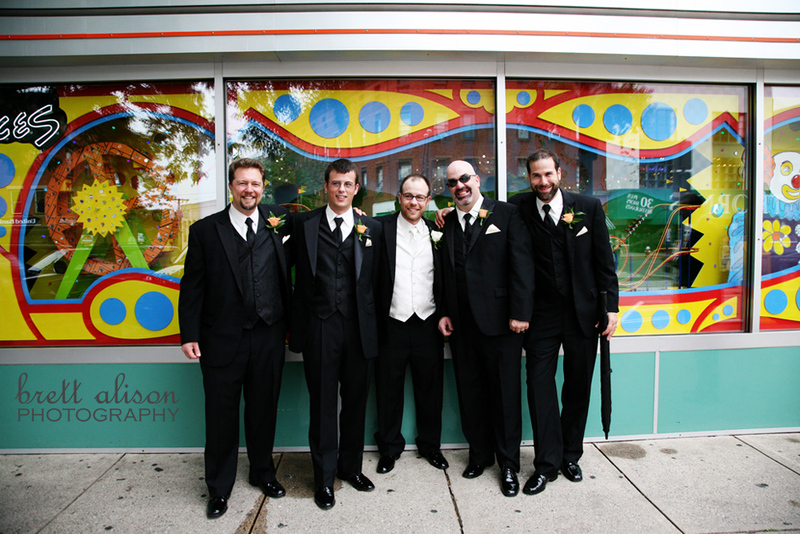 And then we were able to go out for a few minutes during the reception to take a couple of photos around town - I think the Calvin theater shots were worth standing in the middle of the road. 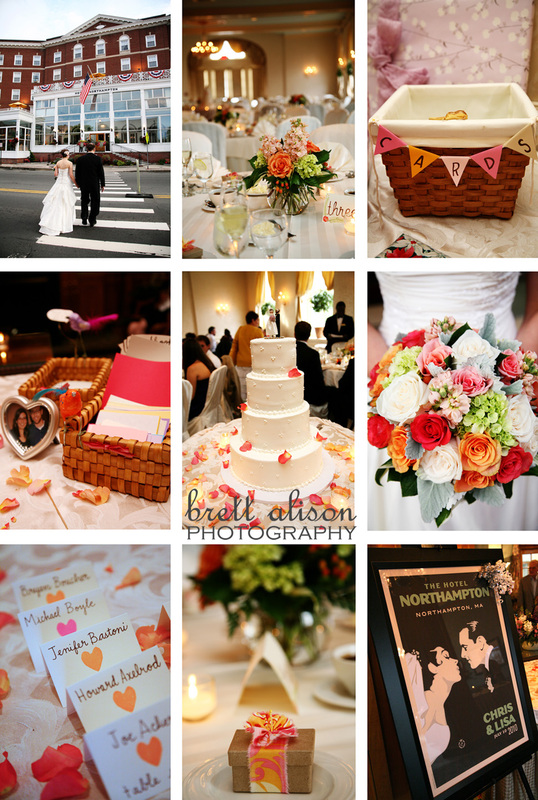 At the reception, many of the details were handmade - the table signs, placecards, favors, and cake topper, to name a few. 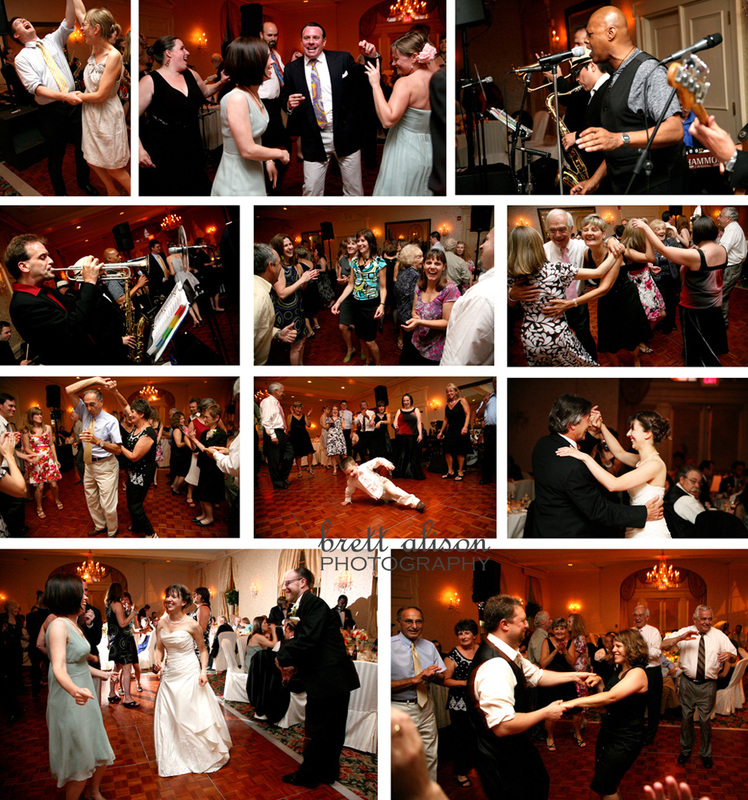 And once dinner was over, the Chicken Slacks kept the party going into the night - if you're looking for a band, definitely check them out!